I chose the theme of Congo, Kenyan recipes which is primarily covering the dominic of congo river basin. This is primarily the eastern side of the Africa and despite being a large continent I was surprised to see the unity in their diverse food culture. The main staples are similar if not same across the continent. With a huge influence of the various colonies the food in today's times has advanced to adopt complex techniques like barbecuing and baking. In the eastern part there is a huge influence of Indian food culture with many of the dishes also sounding similar. I was amazed reading about the various street food options. I must confess that before embarking this journey I went back and forth many times keeping in mind my family's preferences for food but once on it, my fears were put to rest by the aromas, textures and taste. It is so close to Indian cooking that I did not have to do much selling for this..
2) Using a wooden spoon, drop the flour a little at a time while breaking the lumps. 4) Cover the pot and let it cook on low heat for 7-8 min further. The texture will change from porridge to bread like lump. 5) Make small balls and serve with side dish or gravy of your choice. The method to eat this bread is similar to puttu or rice unde's in India. Making a small dent in the centre and filling it up with gravy. Wow Pradnya, you sure picked up such a challenging theme...and its good to have you back...can't wait to see the variety you have in store for us..
Wow! Awesome choice of regions and I am looking forward to all your posts. Love how similar recipes are from across the globe. Lovely choice of recipe. Wow ! Nice choice of 4 countries ... Look forward to ur recipes, pradnya ! Unusual choice of the Congo region ! Great start with the cornmeal dish ..
As you mentioned wheat or rice based semolina is similarly used in south India and so ugali sounds like a familar dish. Looking forward to your Congo dishes this week. The Ugali sounds like the Gujju khichyu...with a difference of flour, good one Pradnya. Looking forward to this interesting marathon. Nice choice pradnya, looking forward for your other posts!!! First click looks superb. Ugali with some generous gravy sounds yummy! !! 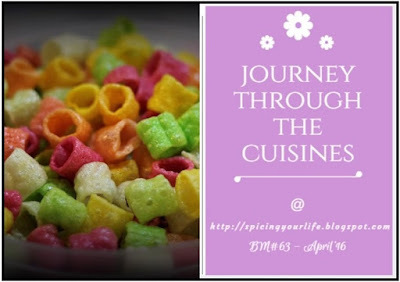 Such a challenging theme, am sure you gonna rock with your African dishes Pradnya. Am eager to know wat is your next country..lol. Ugali is quite a famous dish among the Africans even in Paris, had a chance to taste this dish as well. Nice choice Pradnya and welcome back to Bm yaar. I wanted to make this for one of the previous bm bit didn't. The first click looks nice..
You picked a challenging theme for the marathon Pradnya. 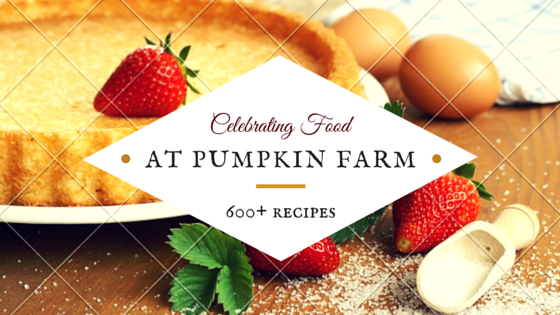 4 different countries with alphabetical recipe involves lot of research. Looking forward to your international recipes for the next 4 weeks. 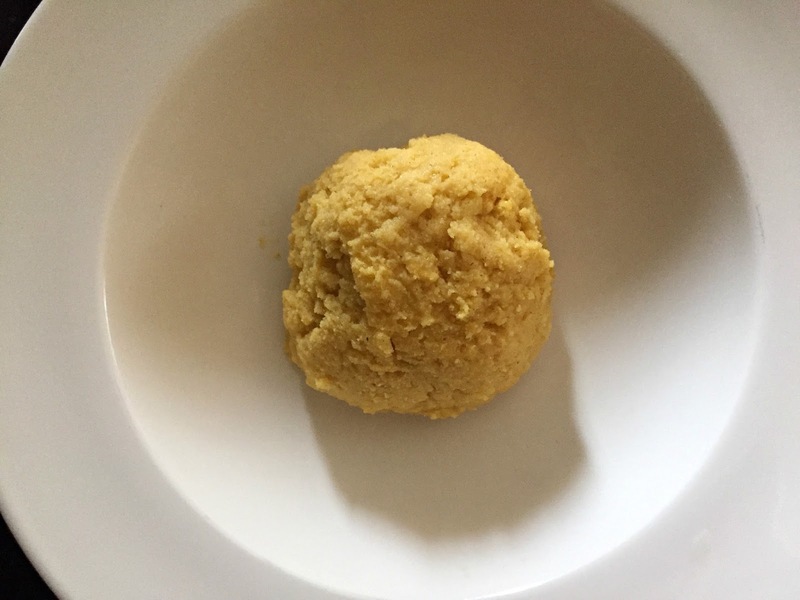 This African cornmeal mush looks easy to make and very comforting. Such an interesting and innovative theme Pradanya.Looking forward to seeing your wonderful creatons for the month.Ugali looks very comforting and satisfying meal. 4 different regions.. kudos man. Welcome back to BM.. Guessing what other regions would be..
Wow Pradnya - you have picked up a very challenging theme. All the best. Looking forward to all your recipes. Wow! I remember having read up on this a few marathons back. You sure have picked up a challenging region. But I am sure the research you have done is spot on. Looking forward to all the dishes. 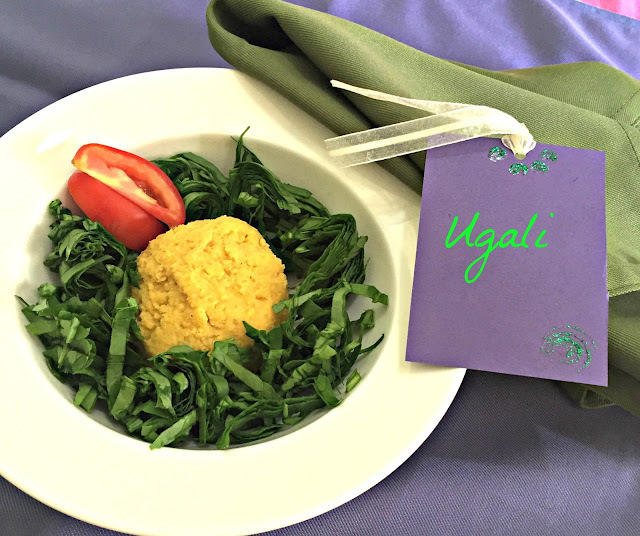 Nice and challenging theme,looking forward to your recipes.Ugali sounds interesting. Looking forward for you interesting selection of recipes..And great startup with cornmeal ugali..
what a great theme - made a few Kenyan dishes and they were all great. Although I havent made this version, I did make a Zimbabwe version of this made with pumpkin and in the Caribbean we also make it but with okra and coconut milk - If you havent guessed, its one of my fave dishes and I am sure I would love this simple version as well! Such a contrast and Interesting theme Pradnya.. Looking forward to your posts. This seems to be an easy and as you say similar to our cuisine. Bookmarked it!!! Good one Pradyna. Looking forward to all the 4 regional dishes! !